There is a small but growing collection of eBooks available to everyone with an Open Library account, anywhere in the world. These titles come to you through the book scanning program of the Internet Archive, a registered library in California. We have connected thousands of Open Library records to the overdrive.com lending system. Overdrive can help you find ePub or Mobi files in your local library. Any Open Library record with an ISBN has been connected to a service called worldcat.org, which can help you find physical books in a library near you. I’m not sure about the OverDrive option. But it’s an interesting model. Have any library consortia here begun negotiations with publishers, here or overseas, please let me know. Well after a few tests, it’s totally working for me. Good job. 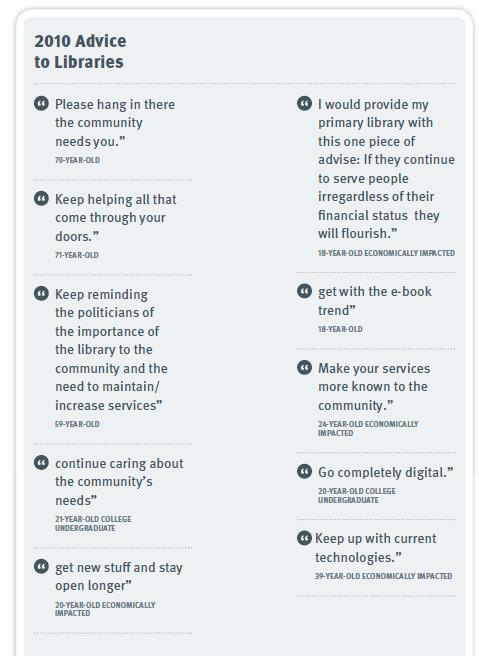 That lovable friend of libraries – the News Ltd empire – this time in the form of publisher Harper Collins, has sprung a new one on libraries and readers. Henceforward they state libraries may only lend out their ebooks 26 times before the book deletes itself from the library’s system. This new limitation is being enforced via OverDrive, who have no problem with it, and why should they. There has obviously been an outcry about this further diminishment of lending rights, one of the best posts on the subject being from the Librarian in Black. Previous posts here have mentioned how every library and reader are being screwed by every publisher and vendor. Will this further insult stop libraries from throwing public money at them, no probably not. CHAIR—Welcome, Dr Cathro. Do you have an opening statement? tell the committee when that director-general will take up her position? Dr Cathro—Yes. Her name is Anne-Marie Schwirtlich. She will be taking up the position on Friday, 11 March. Senator TROOD—What state will she find the library’s budget in for 2011-12 when she takes up her position? lines in our budget. In addition to reducing staff we will naturally be reducing a number of services. Senator TROOD—At this stage do you know how many staff you may have to reduce? Dr Cathro—If you take as your baseline the second half of 2010, where we averaged 444 staff, we will be reducing next financial year by 17 staff. Senator TROOD—Is the efficiency dividend contributing to that difficulty? How much of a difficulty is it contributing? Dr Cathro—The efficiency dividend—if you put it in dollars terms—in the current financial year, I think my advice is its value is $684,000. That is part of what we have to take into account. Senator TROOD—Have you decided how you are going to lose the staff at this stage? through attrition and through then redeploying staff laterally into the priority positions, leaving the lesser priority positions vacant. Senator TROOD—Does the loss of these staff involve the closing down of any programs or parts of the library’s activities? Dr Cathro—Yes, there are a couple of examples I could give you. There is what we call retrospective cataloguing of the collection; that is, cataloguing material acquired in the past but not adequately catalogued. collaboratively with the state libraries. That service has now ceased. We will be increasing significantly the charges that we impose on other libraries for interlibrary loans. They are just examples of some of the budget measures. We are also making significant reductions in travel and other supplier expenses. Senator TROOD—We do not have much time and I would like to explore these matters a little more fully but perhaps, just finally, can you briefly outline the challenge that you are facing from the digitisation revolution that we are facing? to—in some essential minimum activity in the next four years to replace those systems. In fact, that is one area where we will actually be increasing staff, to work on the replacement of those essential digital management systems. We do aspire to digitise more of our collection in the longer term. But to date I think we have only digitised about two per cent of our collection after 10 years of effort. Senator TROOD—I would like to ask more questions, but unfortunately we do not have any more time. Senator HUMPHRIES—The then Acting Secretary of the Department of Parliamentary Services a couple of weeks ago, in commenting on the lack of space in this building, said that the Parliamentary Library could be forced to move some of its research archives to the National Library. Where would you put them? Dr Cathro—I was contacted by the Parliamentary Librarian, who suggested that the interpretation of that report should not be relied on. I can only say that we are due to run out of physical space some time in 2014, so that would be a problem for us. CHAIR—Thank you for appearing before us.